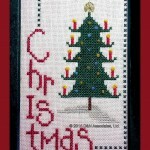 Design is #F19 Christmas Flip-it by Lizzie Kate. Worked on 28 count over 2 threads, 39w by 61h. 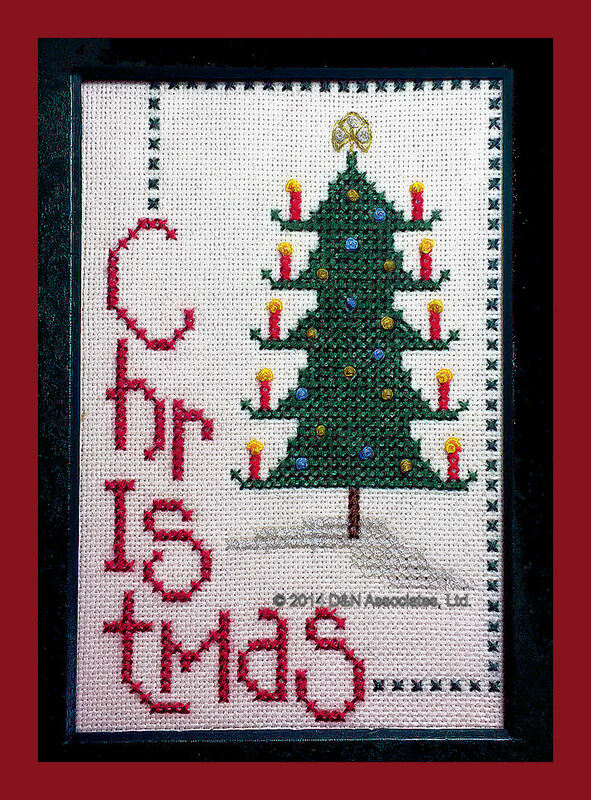 If following the design chart the cross stitch pattern finished worked area is approximately 2.75 inch by 4.25 inch. I made mine a little bit taller, it just fitted within the opening of a 5×7 frame mat. I couldn’t find a frame mat in a dark green so I sprayed painted a white mat, it turned out rather well.